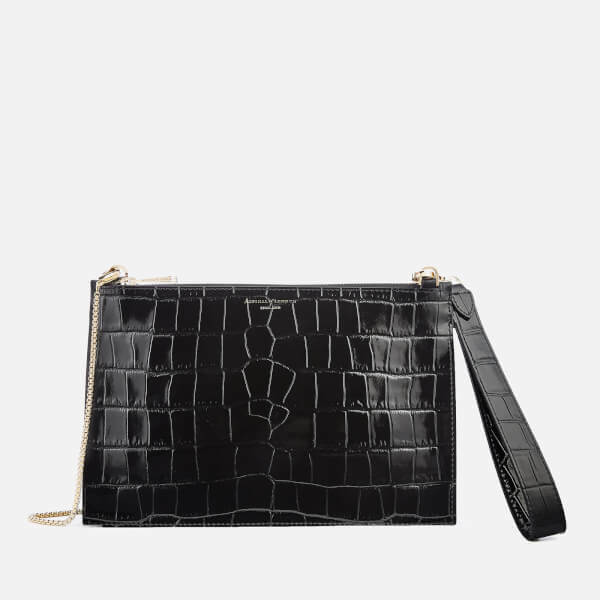 Designed with a deep shine croc print, the Aspinal of London 'Soho' bag can be worn over the shoulder or carried as a clutch for versatile styling. 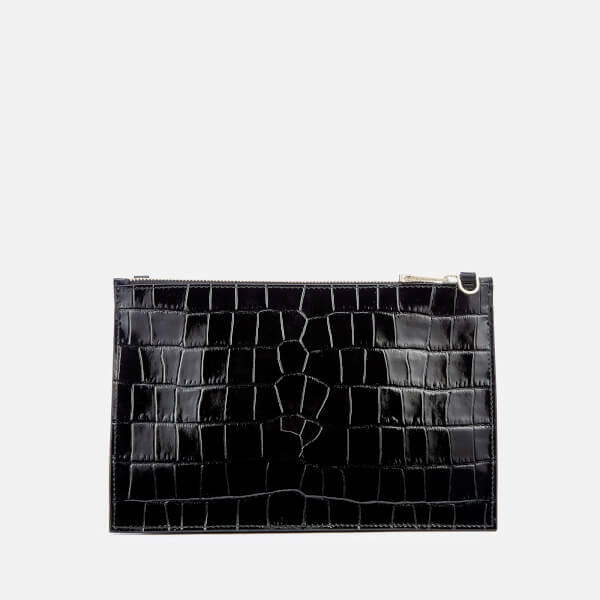 Handcrafted from Italian calf leather and lined in shimmering navy grosgrain. 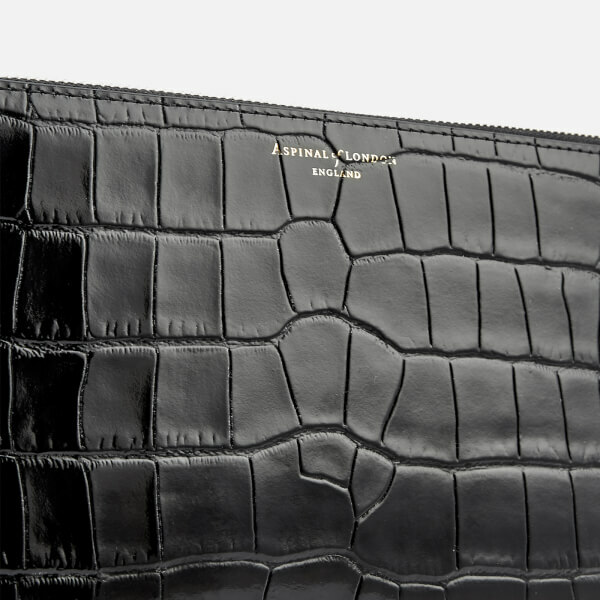 The perfectly sized pouch features a detachable snake chain and a removable leather wristlet. 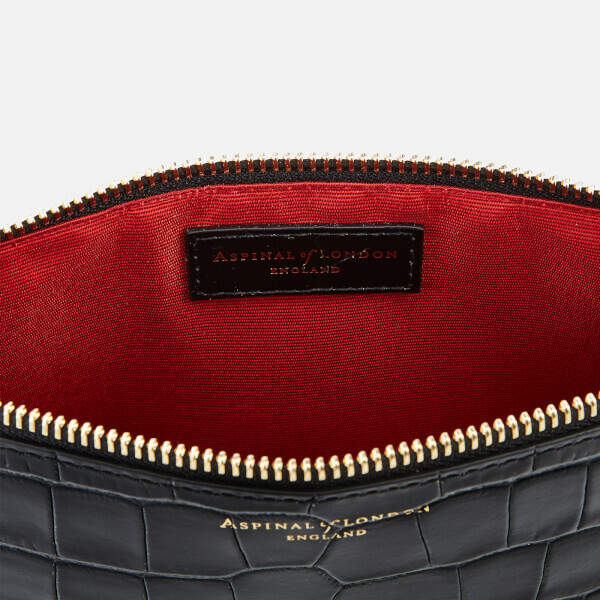 Secured with a top zip fastening. Signature foil branding completes the design. Arrives in a branded gift box.